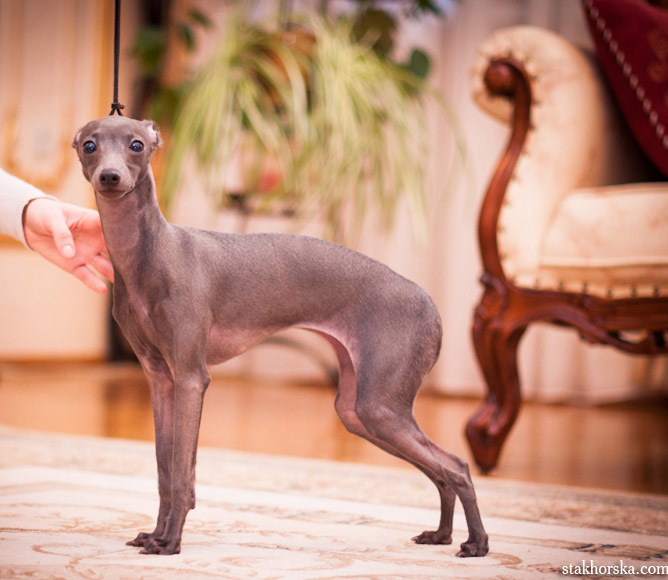 Silvento Euthenia - also known as "Zenya" is our small italian greyhound girls. 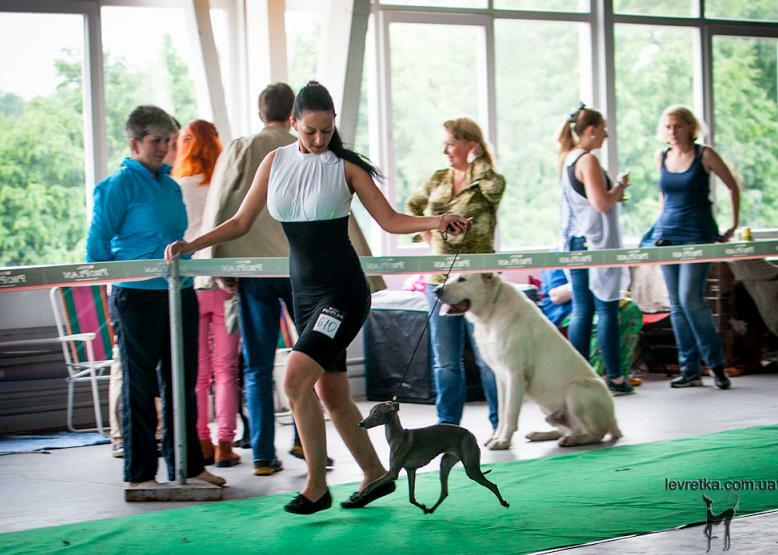 The decision that she has to stay in Ukraine in the kennel was taken just after she was born, so it was decided to leave her in the family! 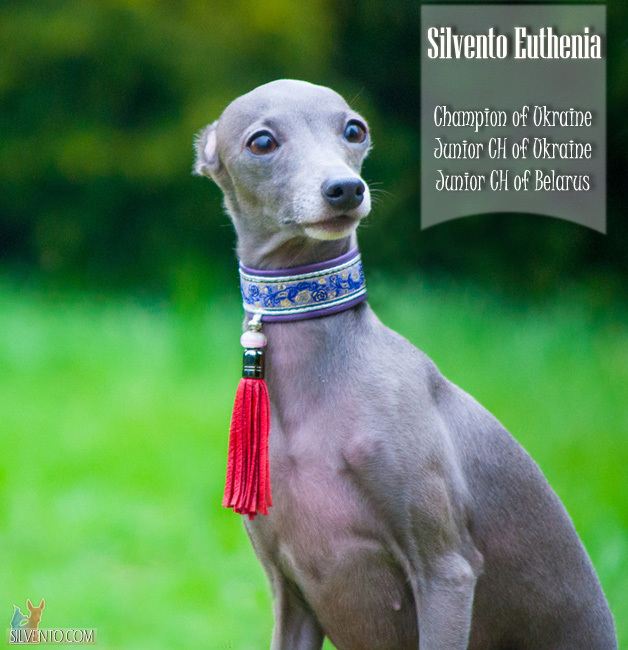 Euthenia lives with Tanya Stanishcheva - my best friend and right hand of our kennel Silvento, who is also co-owner of Silvento Diamoura Angioletta (Zenya's mother). Euthenia is calm, smart, lazy baby with huge heart and great hunter as well with the full set of teeth and good exterior. According mythology Euthenia was the ancient Greek female spirit of prosperity. 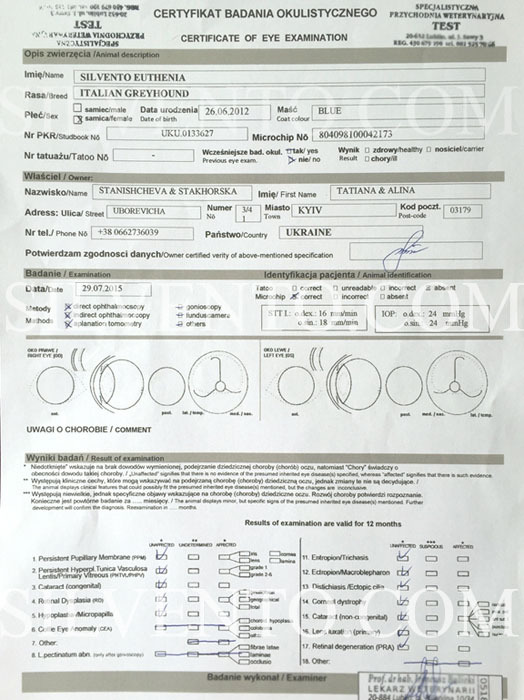 Owner / Breeder: kl "Silvento"